Jared Lewis, freelance healthcare contributor, explains how in the value-based medicine race, Xenco Medical has emerged with a novel way to win. With the unsustainability of health system costs reaching boiling point and the pressure to boost cost-effectiveness increasing significantly, healthcare providers have found themselves scrambling to reduce their costs while maintaining their current patient outcomes. According to An Investigation of the Healthcare Supply Chain: Literature Review, “healthcare costs are expected to grow at a rate greater than that of the GDP, reaching almost $4.6 trillion and accounting for 19.6% of the GDP by 2019”. Companies like Athenahealth and Xenex have used big data and UV-emitting technology to position themselves in this new era of healthcare. Among medical device companies, Xenco Medical has emerged as one of the most disruptive by approaching medical device design with a novel strategy. The company has managed to incorporate materials science in a new way: the entire system, from instrument to implant. The use of materials science Haider refers to has been central to the company’s position in the value-based medicine race. Companies across the country have been competing to prove the value proposition of their products to healthcare facilities who, in turn, are accountable to payers like the Centers for Medicare and Medicaid. 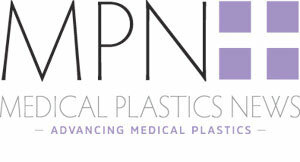 Using their process to injection mold their polymer-based product lines, the company has argued that the unique approach has both upfront and indirect savings to the hospital supply chain. As the healthcare landscape has shifted, medical device companies with a value-oriented thrust have found success across both major health systems and small outpatient surgery centers. It’s within this emerging framework that companies like Xenco Medical have thrived. Identifying surgical tray sterilization and processing as a primary culprit for soaring costs on healthcare systems, the company has garnered considerable buzz for engineering every product around healthcare costs and infection reduction. There may be a lesson about the future of healthcare in Xenco Medical’s model. Seeing a significant discrepancy between the cost-constraints of healthcare providers and medical device design, the company has set its focus on what it sees to be responsible for a lion’s share of hospital processing costs, depreciating metal instruments that require sterilization after every use. Making use of injection molding, the company has expanded the applications of medical plastics and pushed its industry to think differently about systems as a whole. Medical device companies are now seeing that they must innovate at every step, beyond only that which is reimbursed. Market research reports have predicted that polymer-based technologies would boom in the healthcare industry in the coming years. We’ve seen a shift away from metal and glass-based medical devices as polymer science allows for materials with high strength, durability, and flexibility while significantly lower costs. Noting the role an intensifying marketplace is playing in pushing companies to find novel ways to manufacture products, findings suggest that we will continue to see radically new uses of polymer science in healthcare. The emergence of value-based medicine has accelerated this search to develop and incorporate high-performing materials for use in medical devices. By streamlining the internal logistics of healthcare facilities, providers can increase the value of their care instead of expending time and resources on processes required for setup. Haider calls attention to one of the most common spinal surgery procedures to demonstrate the efficiencies gained by circumventing the sterilization process. Haider notes: “Research on operating times has found that the average time for a two-level Anterior Cervical discectomy and Fusion, including anesthesia, is 2.3 hours. With instrument tray sterilization times averaging 3.5 hours, a sterile-packaged, single-use system enables smaller centers to perform an additional procedure each day”. The study he is referencing is Safety and feasibility of outpatient ACDF in an ambulatory setting: A retrospective chart review. Perhaps what’s most interesting about the point he makes is that there is a hidden cost to the inefficiencies at hospitals. Through the Value-Based Purchasing program brought forth through the Affordable Care Act, hospitals are judged on five metrics: mortality and complications, healthcare-associated infections, patient safety, patient experience, process, and efficiency and cost reduction. Though the company has highlighted the costs and inefficiencies of the autoclave process to drive its implant systems forward, Xenco has also called attention to other VBP metrics that its single-use devices address. This polymer-based approach to healthcare-related infections adds to the list of technologies, such as pulsating UV light, aimed at tackling this problem. As Value-Based Medicine becomes an increasingly important part of healthcare, the race to innovate will undoubtedly give way to many solutions. We will see how these innovations streamline care and, inevitably, revamp the system.